Easter Saturday, Sunday and Monday (20, 21, 22 April 2019). 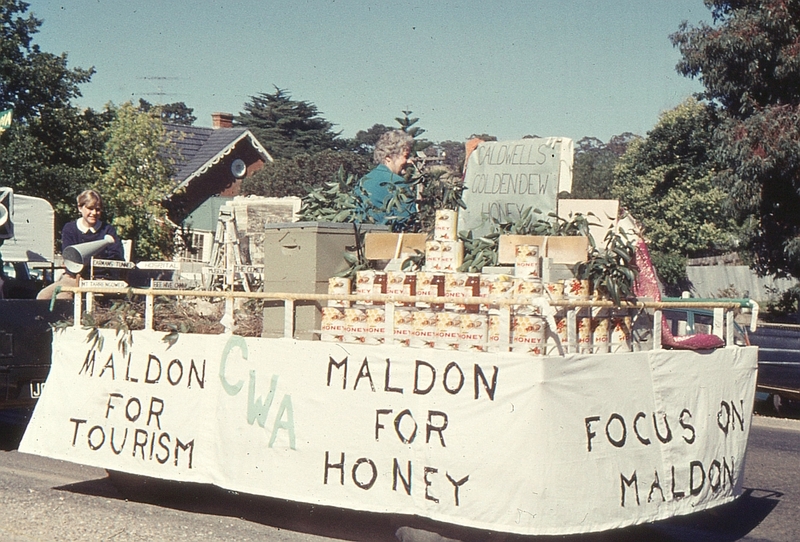 Our Easter Procession Pictorial depicts all the fun and glamour of the Easter Procession as reflected in the colour slides taken by local residents and which now form part of the Maldon image collection. The procession has always been a highlight of Maldon’s Easter Fair. The floats are usually quite topical and often humorous, and always the subject of a great deal of planning, design and many hours of decoration by the entrants. One local resident remembers the 1950s and early 1960s as a time when ‘it seemed that as soon as Christmas was over, the whole family was involved in making crepe paper flowers and decorations for the Easter Procession floats’. In 2019 our exhibition features children in the procession from the 1950s to 1970s. Our Easter Procession Pictorial is now a regular event on our exhibition calendar. This year we have a super selection of new slides and photographs for your enjoyment. You are invited to come along, relive old memories and help our volunteers to identify the people and organisations represented. Also let us know if you have old slides or photographs which we could copy or you would like to donate to our collection. As slides are received our volunteers digitise them so that they can be used to produce large colour prints and slideshows for your enjoyment.